Kosovo has come under fire for failing to create conditions for the return of refugees who left the disputed territory ten years ago. 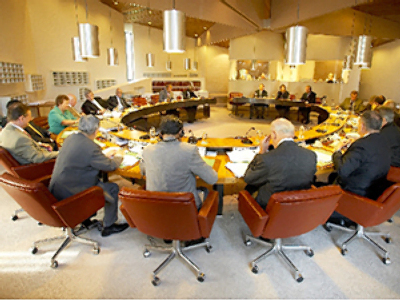 The Organization for Security and Co-operation in Europe (OSCE), which has been closely involved with building institutions in the partially-recognised state, has published a damning report, accusing the Kosovo Albanian authorities of lacking political willpower and refusing to provide sufficient funding. The armed conflict between Serbia and Kosovo Albanians in 1999 forced tens of thousands to escape the war-torn region. 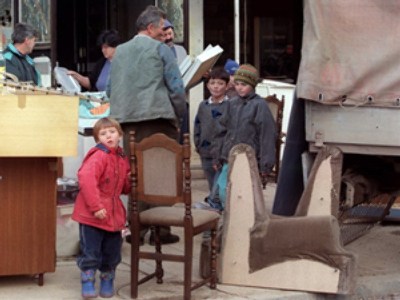 In the aftermath of the conflict, as the ethnic Albanian majority asserted its dominance in the region, many Serbs and other minorities were driven out of their homes and forced into enclaves within Kosovo, or further. Now, many of the displaced persons are returning. Each year several thousand are forcibly repatriated from neighbouring countries. The report claims the returnees are not provided with housing, and school places, not to mention financial assistance and work opportunities. “We urge central and local authorities to reach out to these vulnerable groups by allocating necessary funding, increasing coordination and information-sharing, as recommended by the report,” said Werner Almhofer, Head of the OSCE Mission in Kosovo. The problem is particularly serious for ethnic minorities. Those wishing to return may find that the communities where they belonged to no longer exist. Due to continuing tension with Kosovo Albanians, the remaining Serbian population is now concentrated in a few enclaves. Elsewhere, Serbian–language schools have shut down, and even access to basic medical care is patchy. The OSCE calls for greater financing, and more officials to be specially trained to deal with returnees. So far, the government in Pristina has not responded to the report.